Adjectives are everywhere. Especially if you are interested in creative writing, you need to use them effectively. 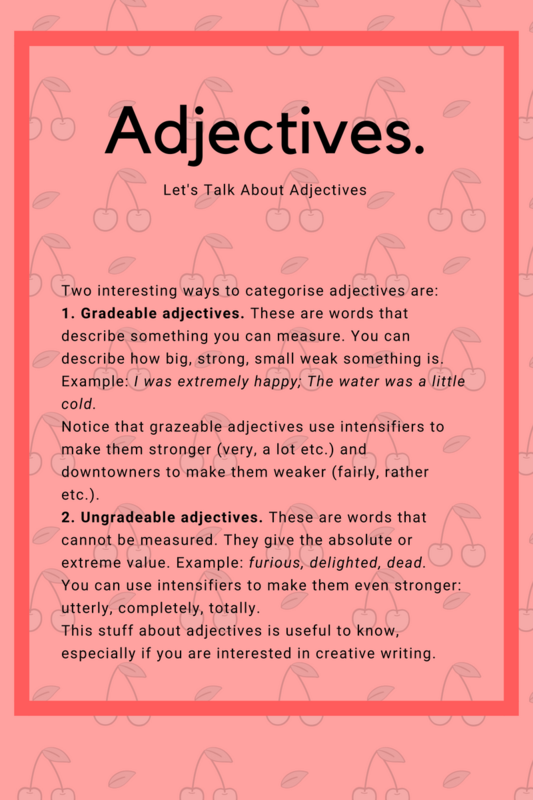 Let’s look at a way of categorising adjectives in terms of how they describe the intensity of something.